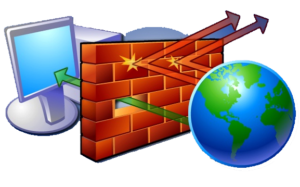 What are Firewalls, Software Updates, and Antivirus for? Firewalls, Software Updates, and Antivirus are all vital to the safe and secure operation of your computer. The following is a quick explanation of what they are and how they work. The best way to explain it is to use an analogy of a house. 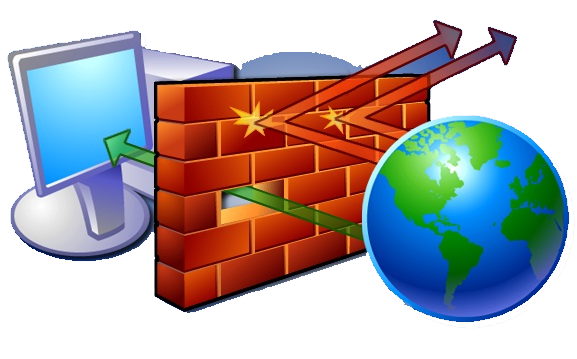 Think of a firewall as a 10 foot high brick fence that runs entirely around your house. The wall has locked gates that you and your friends (Software applications) have keys for. If a burglar (virus or hacker) wants to break in it will be nearly impossible for them to get through the wall. Software Updates are a way for the software manufacturer to improve their software. Think of it as a security company coming around to your house and putting locks on your doors and windows and fixing the hole in the wall that a burglar (virus or hacker) could get in through. To put it simply an antivirus program is a computer version of the police being in your house to catch and shoot the burglar (virus or hacker) once they have broken in. ← What is the Cloud?